If one thing is true about New Year’s resolutions, it’s hard to make a change. That’s not to mention trying to stick with those changes when the weather is cold and you’re craving something hearty. 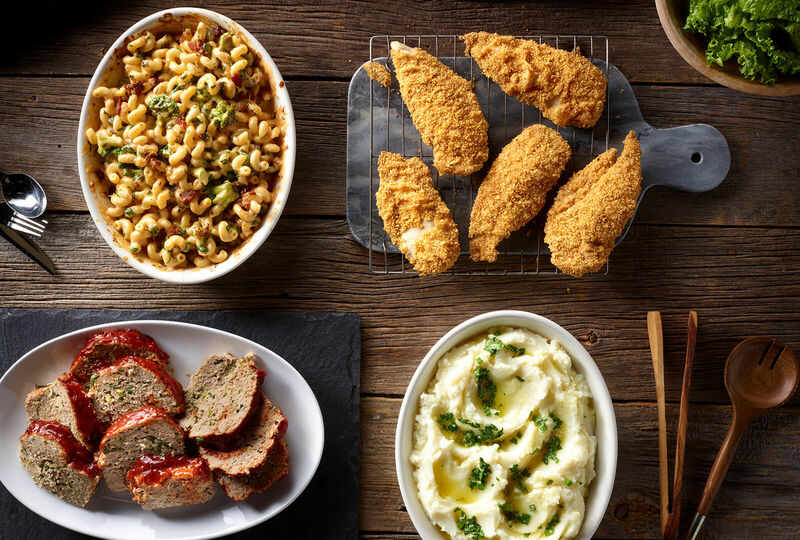 To help you out, our culinary experts took four classic comfort food recipes and made them a little more resolution friendly. Crush tortilla chips in bag and process in food processor until finely ground. Transfer to large bowl and stir in taco seasoning. In medium bowl, whisk together egg and water until blended. Place flour in shallow dish. 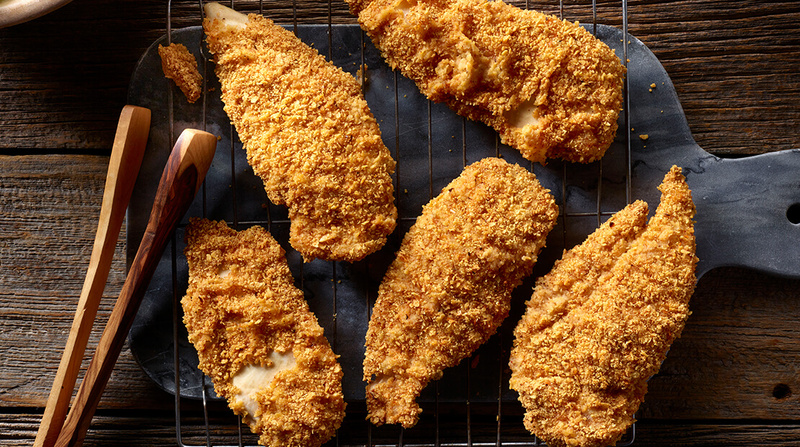 Dredge chicken pieces in flour, shaking off excess. Dip in egg mixture and coat in tortilla chips, pressing lightly to adhere. Place chicken pieces on lightly greased rack over baking sheet. Spray each side with cooking spray. Bake 10 minutes on each side or until cooked through and golden. Serve with salsa if desired. Cook macaroni according to package directions in boiling salted water. 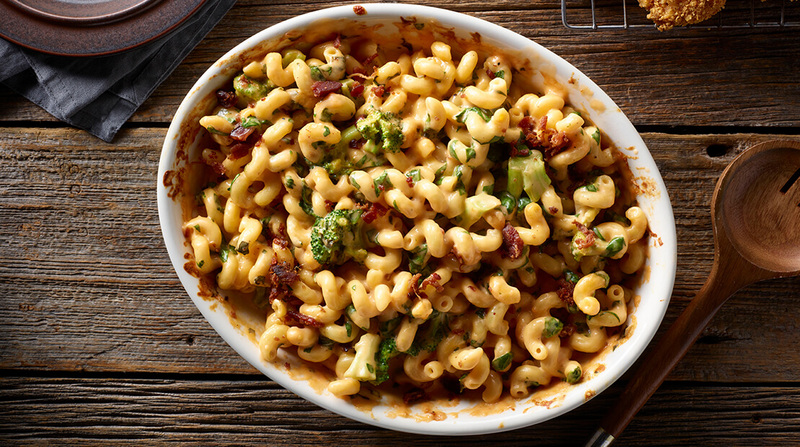 During last minute of cooking, add broccoli to pasta water. Cook 1 minute and drain along with pasta. Stir in spinach and set aside. In medium saucepan, over medium heat, melt butter. Whisk in flour until smooth. Gradually add milk, whisking constantly. Bring mixture to a boil, reduce heat and simmer. Gradually whisk in Cheddar cheese and cream cheese until smooth. Stir in chicken granules. Pour cheese mixture over pasta mixture, stirring to combine. Transfer mixture to lightly greased 2-quart baking dish. In small bowl, combine breadcrumbs and milk and let stand 15 minutes. In large bowl, gently combine ground turkey, next 5 ingredients and breadcrumb mixture until well blended. Press mixture into lightly greased 8 ½- x 4 ½-inch loaf pan. Bake 50 minutes. Meanwhile, in small bowl, combine chili sauce, brown sugar, and hot sauce. 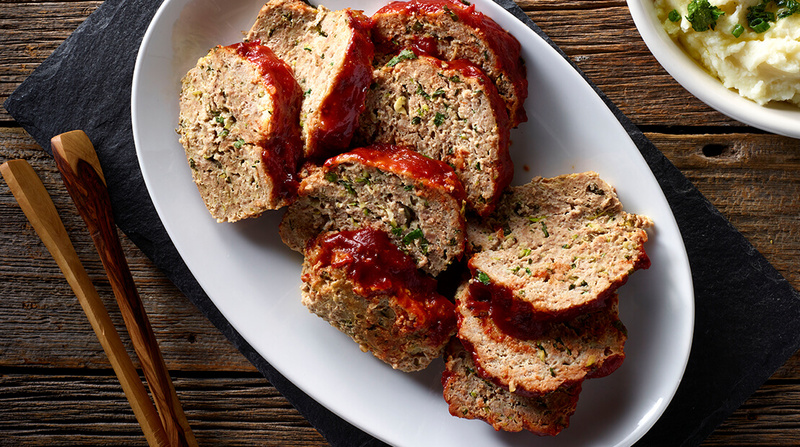 Spread over meatloaf. Bake additional 15 minutes. In large pot, bring potatoes and water to cover to a boil over medium-high heat. Reduce heat to medium-low and simmer 30 minutes or until potatoes are tender; drain. Using a potato masher mash potatoes until smooth. Stir in 3 teaspoons chicken granules and Greek yogurt. In small saucepan, melt butter over medium-low heat. Stir in remaining 1 teaspoon chicken granules and green onions. 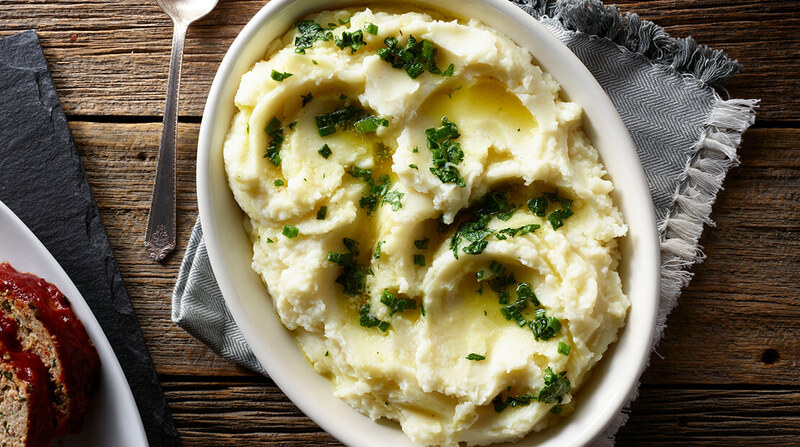 Cook 1 minute and spoon over mashed potatoes.